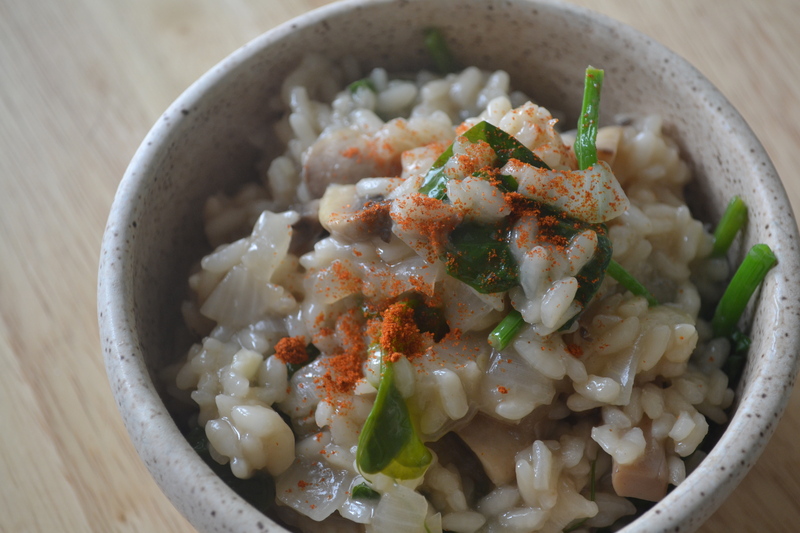 This spring risotto is a filling way to celebrate spring and garden freshness. Jam-packed with nutrient-dense pea vines, mushrooms and onions, it will leave you satisfied and satiated. 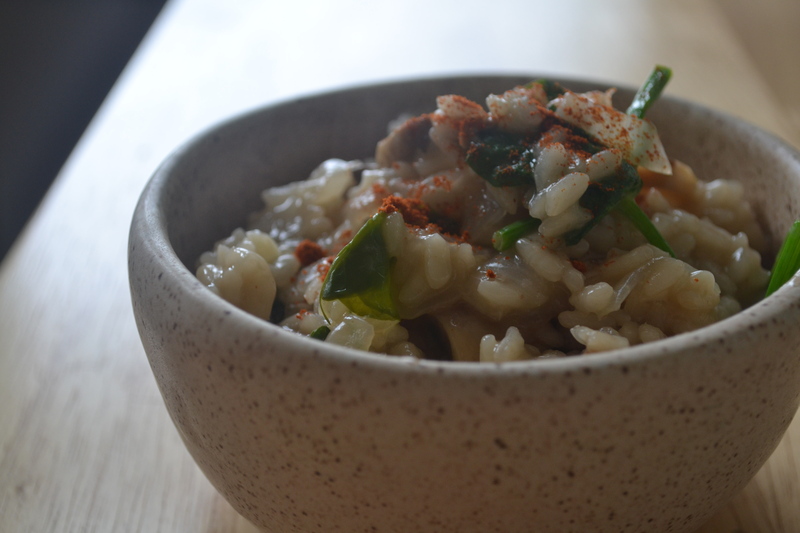 The creaminess of the risotto will have you fooled that dairy or coconut milk was added. But don’t be deceived. The secret ingredient is time. Not the most abundant yet, but come 80 degree weather, I’m going to be well-fed! Once vegetables start to grow, it’s too tempting to eat whatever they’re producing. 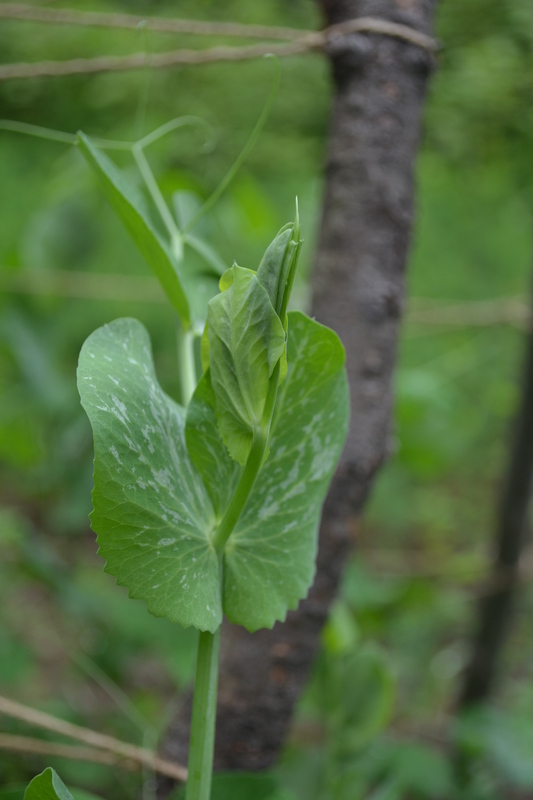 For peas, we’re growing snap peas and snow peas. 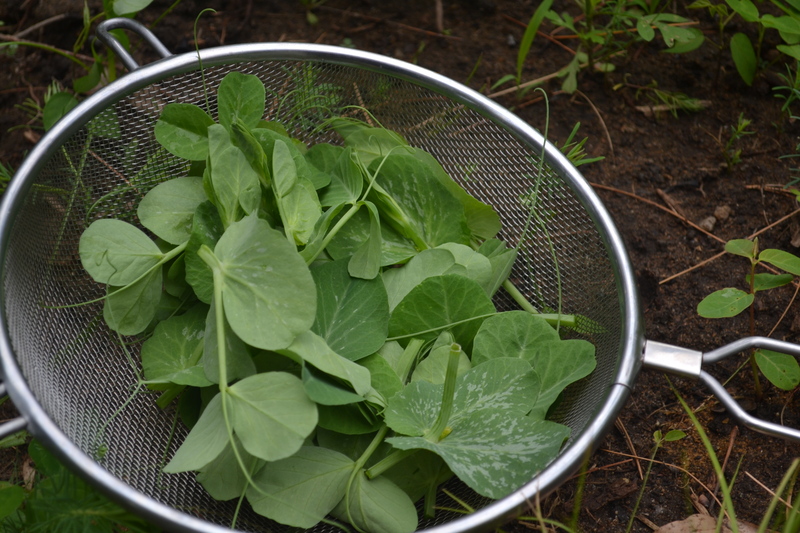 This variety of snow pea has delicious vines–soft and tender, sweet, and ever so slightly sour. 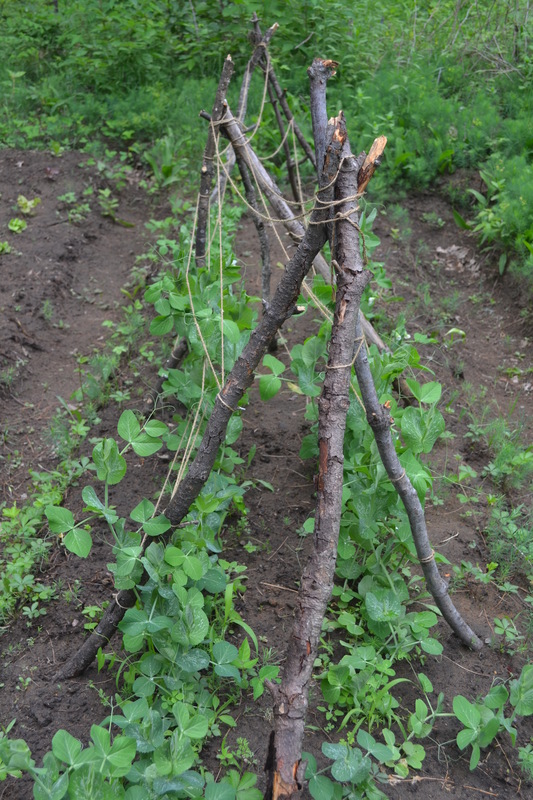 Once we pick at the bottom of the new shoot, it will send energy to grow branching vines, versus shoots that go up and grow peas, which means more vines to eat. Not a lot, but it’s enough for a pot of risotto! 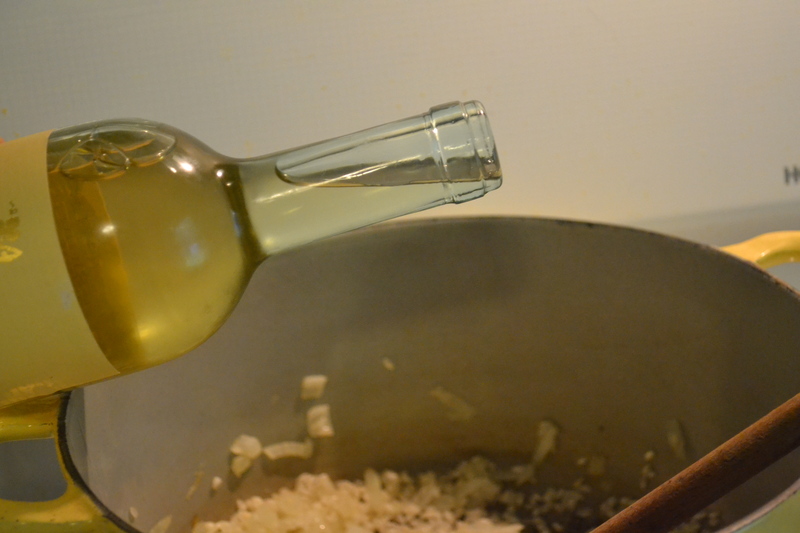 In a medium to large pot, heat the olive oil on medium-low heat for a couple minutes. Saute the garlic and onions. 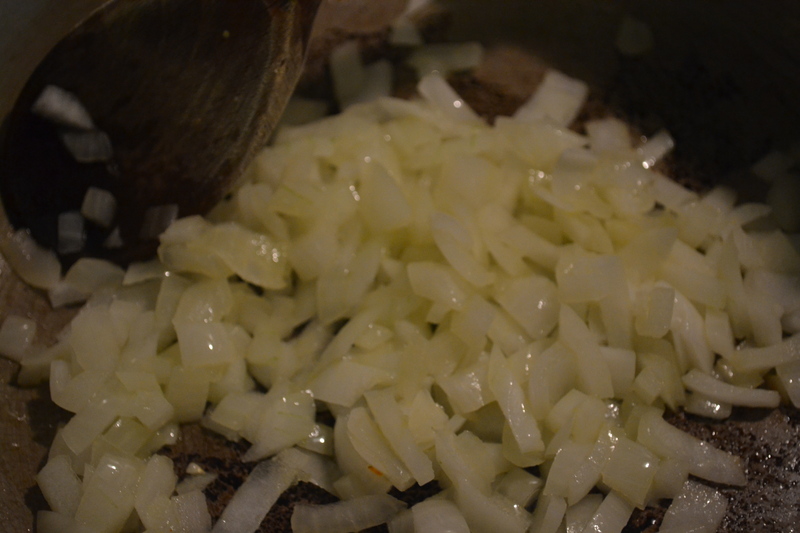 Watch the onions and saute until they have a nice translucency (takes about 5 minutes). Add a pinch of salt to the onions at this point. Just about time to add the risotto. Next, add the risotto, and stir with the onions. It will soak up the extra flavor of the caramelizing onions, roasting garlic, and olive oil. Do this for a few minutes, making sure it does not stick to the pan or burn at the bottom. Next, add the cup of white wine. You’ll get a nice simmer. This is when the stirring gets going and you’ll realize that you sort of committed to an arm-workout! Just pour it right in! Now, don’t forget to keep on stirring! 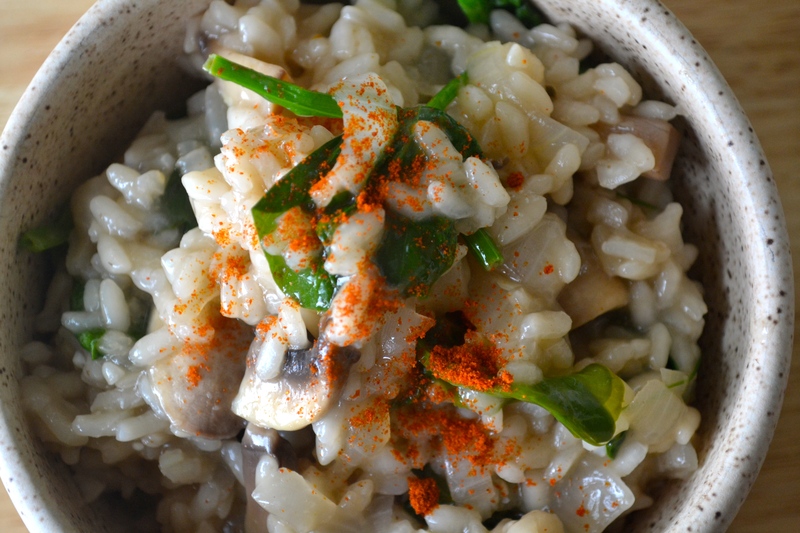 As the liquid heats up and evaporates, the risotto will get thicker and creamier. When it starts to dry out, and before it starts to stick to the pan, add a cup of broth, and start the process of evaporating and stirring all over again. About 20 minutes in, add the mushrooms, and keep on stirring! 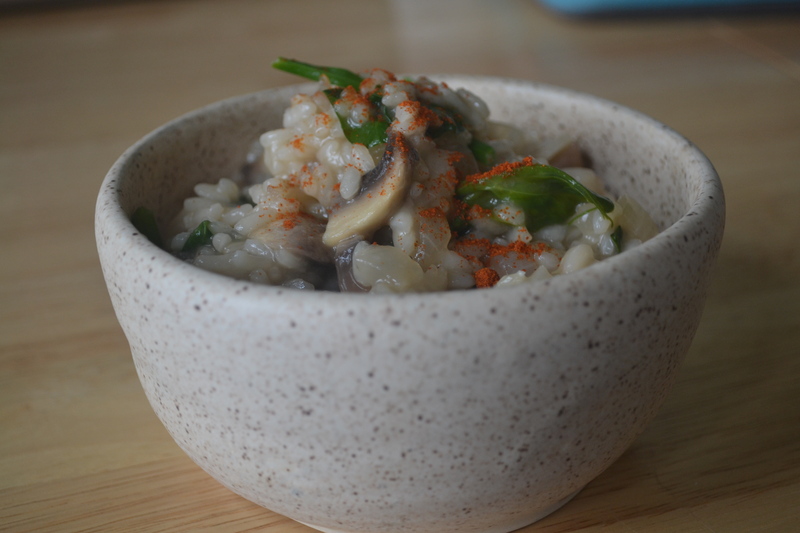 I used beef broth (because that’s what I had) which explains the brownish tint versus a purely white risotto. 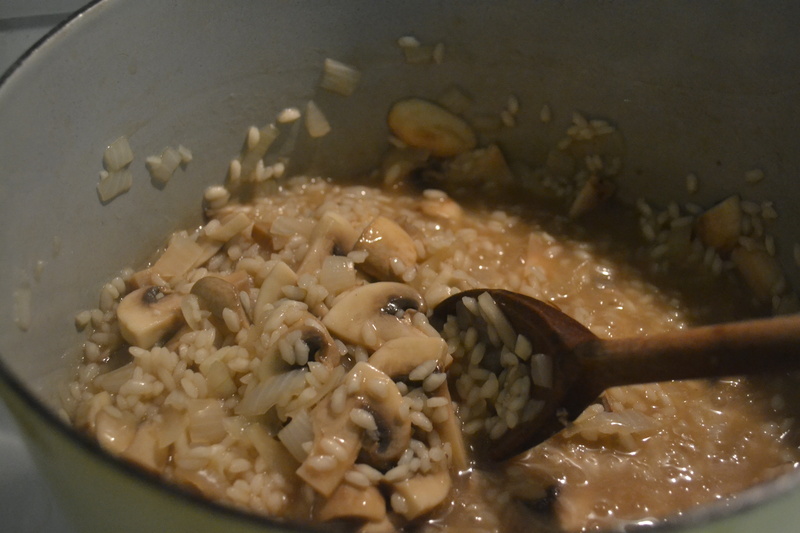 After about 30 minutes, the risotto will be al dente. This is a good time to add the washed greens, and turn off the heat. 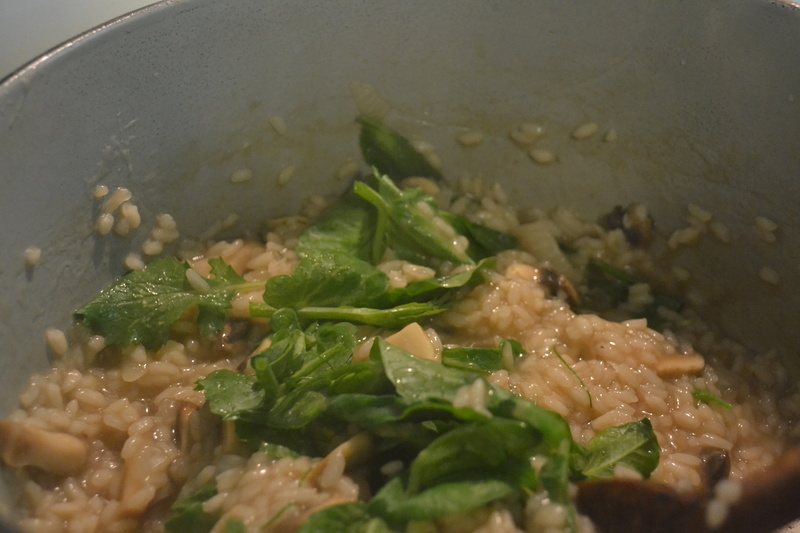 Stir in the vegetables and let the warmth of the risotto wilt the greens. This recipe makes about 4 servings (in the bowls you see in the pictures). This entry was posted in Dairy Free, Gluten Free, Recipes, Vegetarian and tagged farm to table, garden, mushrooms, peas, risotto, vegetarian. Bookmark the permalink.